Chanute Manufacturing, a division of Optimus Corporation, manufacturers Headers, Superheaters, Reheaters, Generator Bank Tubes, loose tubes, Finned Tubing, HRSG Harps and Modules. This 350,000 manhour facility is located in Chanute, KS with approximately 200,000 ft2 of high bay manufacturing facilities, served by five rail spurs and 22 overhead cranes with capacities up to 200 tons and 35 foot hook heights. Chanute manufactured over 1400 Modules for HRSG OEM's. 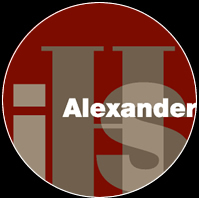 Together IHS Alexander and Chanute have the engineering and manufacturing expertise to replace existing pressure parts in kind with or without boiler drawings.